About: Caragh Geiser works on both sides of the art-selling business; She both creates and exhibits paintings at her Vancouver site, The Open Door Gallery! 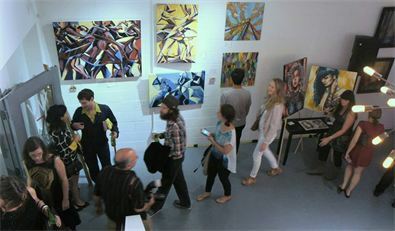 The gallery features a unique selection of local oil and acrylic paintings, some of which will be exhibited at this year’s Art World Expo. What made you want to establish your own gallery? How did you go about doing it? Despite a career in science, art has always been a necessary counterpoint in my life. Then about ten years ago I found out that my hairdresser was an incredible painter. He convinced me to model for him and it all blossomed from there. At a dark point in my life Maurice showed me how to work in colour again, in every sense. Our shared love of painting led to an amazing two year fling and a return to the brush. 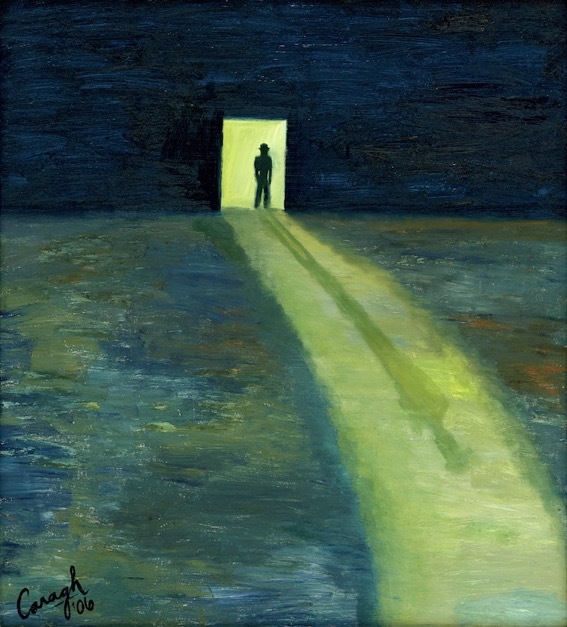 My first painting, after a long period without art in my life, was called Open Door – which inspired the name of the gallery. At the time, I was mostly seeking a way to capture all of Maurice’s undocumented work, and integrate it into some sort of curated platform. Irolled in my own pieces, and then somehow the artists just kept coming. 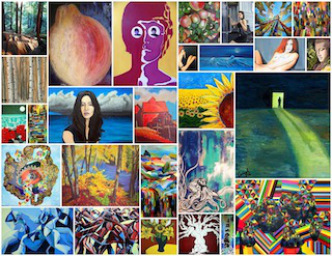 Open Door Gallery now carries the work of 14 local Vancouver and BC painters, and offers a unique selection of over 250oil and acrylic paintings and limited edition reproductions on stretched canvas. Why do you feel it’s important to show local art? Think of us like afarmer’s market for locally producedpaintings. By supporting local producers, you invest in a more stable local economy and higher quality arts future for our community. Our unique format allows the consumer toaccess the remarkable work produced by their next door neighbours. What do you think makes Canadian artwork unique? 100% of the purchase price of Canadian made art is tax deductible as a business expense. Every painting offered by Open Door Gallery qualifies for this deduction. For detailed information please download our free eBook called the Corporate Guide to Canadian Art Acquisition at www.opendoorgallery.ca. Do you think the style of art changes depending on what area of B.C. the artist is from? Some have a very strong connection to their surrounding geography anda deep connection to nature. I invite you to explore the work of Mihaela Stefan, Roy Geronimo, Jojo Geronimoand Marina Wright. How do you go about finding or attracting new artists? We’ve established a clear style, and it seems that artists who respond to our aesthetic seek us out. What sort of message do you try to convey with your work – if there is one? We simply want to demonstrate that beautiful art is being produced all around you every day.Purchasing this art helps artists to stay in Vancouver and keep creating.There tends to be the perceptionthat it’s everyone for themselves and that we must all grab for a piece of the pie. My philosophy is to instead view it as a collaborative process, working together to make the pie bigger. Vancouver is poised to make a much larger name for itself in the art world. We have the talent and we have the world stage, so lets step into the limelight and show off our world class creative industry. I know it’s almost a cliche, but Vincent Van Gogh is a painter’s painter and I love his work dearly. As an artist I feel a deep connection with the work of Sergy Mann, who has continued to paint 25 years after going blind, feeling his way around using pieces of stick tack on the canvas as co-ordinate points. But most importantly, I’m inspired by the Open Door Gallery artists who continue to produce inspiring work despite day jobs, families and other commitments. How is the diversity between your artists at Open Door Gallery important? The broad selection of styles, size and price represented in our gallery increases the likelihood that a particular painting will connect with a viewer. You can see the various collections, such as landscapes, nudes, abstracts, celebrities, and local landmarks at our website www.opendoorgallery.ca. There are few things more exhilarating than buying a piece of art. At least once in your life you should allow yourself to purchase a painting you fall in love with. You do more than just create art- you also buy, sell, and exhibit it. What is it like to be involved in all of these different areas, and which is your favourite? I like to see the buying and selling of art as a natural extension of exhibitions. For us, the thrill comes from displaying these unique works. Since the opening of the gallery, have you changed as a person or an artist? If so, how? I don’t know if I’ve changed much as a person but I’ve certainly worked hard at building the gallery into something I’m proud to represent, and now it is time to give something back to the community. We have partnered with AIDS Vancouver to create the #iheartlocalart fundraising campaign for May and June, with our launch at the Art World Expo. We have packs of gorgeous greeting cards and postcards for sale online and at our booth, featuring a selection of paintings by Open Door Gallery artists. 50% of art card salesand 10% of all original artwork sales in May and June will go directly to AIDS Vancouver to support them in continuing to provide community support services including Case Management, a Financial Assistance Fund, a Grocery and Nutrition Program, and a Confidential Helpline. During the campaign, we will be exploring the research to date on the interconnection between art and health at the local level. Science tells us that viewing art and creating art is good for your brain.I truly believe that when you find a piece of art you deeply connect with, acquiringit is an extremely healthy act. 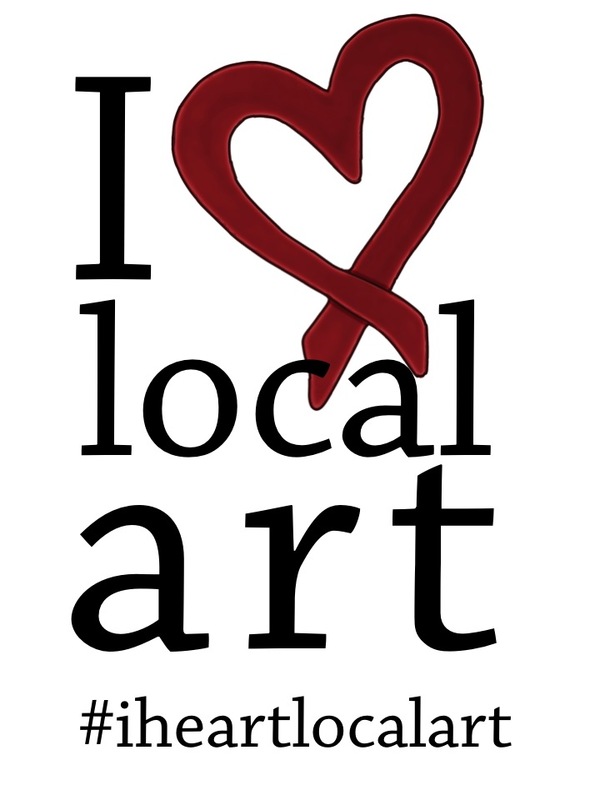 Check out iheartlocalart.cato find out more about our exciting campaign! Why do you work specifically with contemporary oil and acrylic painters? Many people think that contemporary art is a style of art, but it simply means art produced in the current era. All of our artists are therefore contemporary artists. We specialize in oil and acrylic works, most of which are oil or acrylic on stretched canvas. Nothing beats the richness of oil paint,however acrylics are a very close second. The latter are cheaper, easier to work with, and less toxic. When water soluble acrylic paints became available in the 1950’s, it was a revolution for budding artists everywhere. What is it about fruit that you find interesting to paint? I’m attracted to colour, and some of the most dazzling colours I’ve ever seen just happen to have been on produce. How many different art forms have you explored? Personally, I’ve worked with pencil, watercolour, charcoal, india ink, acrylic and most recently oil. Now that I have painted with oils this will always be my preference, although with two young children at home acrylics may have to do for a few years. What sets Open Door Gallery apart from other galleries? We operate without a dedicated retail storefront, so we can offer our services without high commissions. 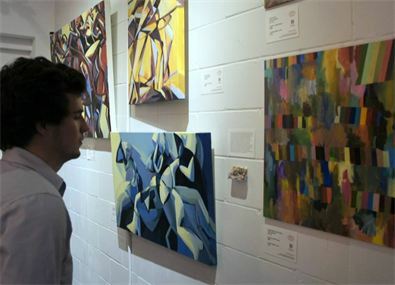 You’ve been to a lot of exhibits – the Art World Expo is one of many. What makes this event special to you? Through the affiliate ticket sales, presale items and silent auction, the format of the Art World Expo doing it right and putting money back into the pockets of the participants. As a member of Arts and Cultural Alliance of BC, Open Door Gallery is an advocate for this type of properly integrated business model. What do you think is the most important thing while pursuing a career in the art industry? The most important thing is to do the work behind the art.Nobody is going to discover you, you have to show yourself to the world. ← Happy Easter from Art World Expo!